Early in 2013, I was talking to my sister on the phone and she mentioned that she wanted a weighted blanket for my nephew. I offered to make one, and decided to take photos and add a few illustrations to create a weighted blanket sewing tutorial. This tutorial became my most popular post of all time, with 118,809 views in 2014! The vast majority of those views come from individuals sharing the post with friends on Facebook, Pinterest, Twitter, and via email, but the last 13,000 or so rolled in in the last 48 hours after someone with a LOT of influence shared the post on Facebook! Thank you very much to everyone who shared this post! The photos framing my original tutorial photo above are blankets readers around the world have sewn and sent me photos of! Readers have written in to write about how they are using weighted blankets to cope with sensory processing issues, mediate anxiety, provide peace and comfort for individuals with autism, and calm tremors from Parkinson’s Disease. They are quite expensive to buy, but fairly easy to make. I am thrilled that my tutorial has made making and owning a weighted blanket more affordable! 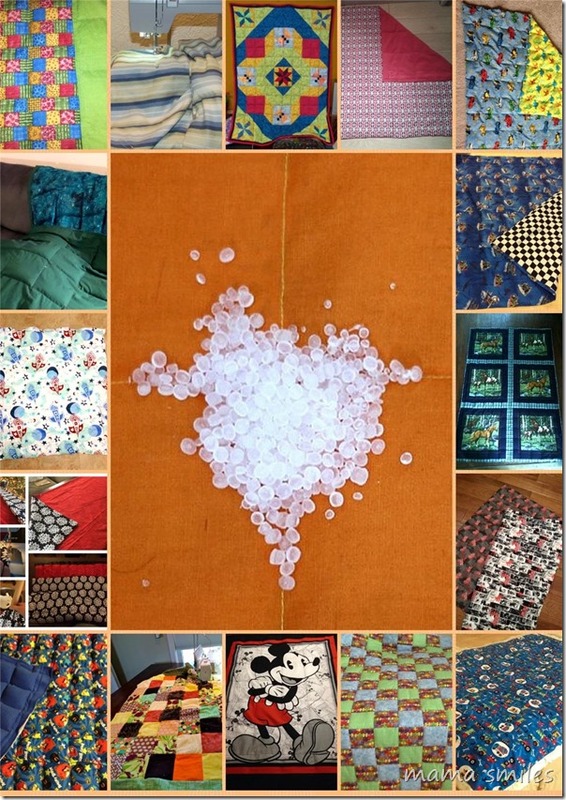 The comments for my weighted blanket tutorial post are full of additional tips: variations on my tutorial and advice on where to find the best deal on poly pellets as well as alternative filler ideas for the blanket. One reader bought duvet covers from IKEA and used those as the starting point for her blankets – I thought that was very clever! While my candy experiments post was popular in large part because a popular site featured it, this post is popular because thousands of individuals have shared it. I want to thank everyone who helped make this post visible on the world wide web! It means a lot to me when readers send notes writing about their blankets, and I love seeing photos! I sometimes get questions about sewing machines on this post. I have been using the Janome HD1000 (affiliate link) for a couple of years now, and I like it! It is extremely sturdy; the only quirk I have noticed is that getting the bobbin in correctly can be tricky at first. My first sewing machine was an older-generation version of the Brother XL2600I. It was very easy to use, but couldn’t always handle thicker fabrics. 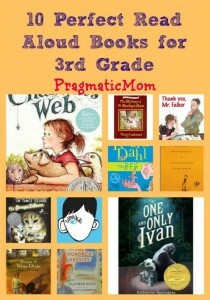 Mia’s number one post for 2014 is … 10 Perfect Read Aloud Books for 3rd Grade. This post is full of wonderful recommendations, and I am requesting several from the library for my third grade daughter. Thank you, Mia! Mia is a blog friend who I used to meet up with when we lived in Massachusetts, and who I even got to see after moving to California thanks to the Multicultural Kid Blogger retreat! Mia is a very talented and smart blogger who is also incredibly kind. And if you love books, you will love her blog! What was your most popular blog post in 2014? I even updated it with explanations of my views because I was getting several comments/emails about it. Interesting that that post has been so controversial for you. I always enjoy your Bible lesson posts. Love how popular this post has been, and how many people you have helped by creating it! My most popular post was about my kids’ trip to the 2014 Mandorla art exhibition, probably because not much else pops up when you Google it. It has been very rewarding to see this post do so well! I loved the way you wrote about that art exhibition. I am really loving your top posts MaryAnne! I especially love your sewing posts because it reminds me to teach my kids sewing skills. We don’t own a sewing machine but there is a sewing school for kids nearby and they have enjoyed these types of projects a lot! How great to make a treasured gift as well! So glad this post became so popular! I have shared it with my young onset Parkinson’s Disease FB group. I love non-drug remedies that actually work and I love when they are things you can make yourself!!! Thank you for sharing my post with your FB group! I LOVE that printable – have it all printed out, but need to laminate it and add stands to turn it into signs for the kiddos! Wow! That’s a lot of views! Awesome job!